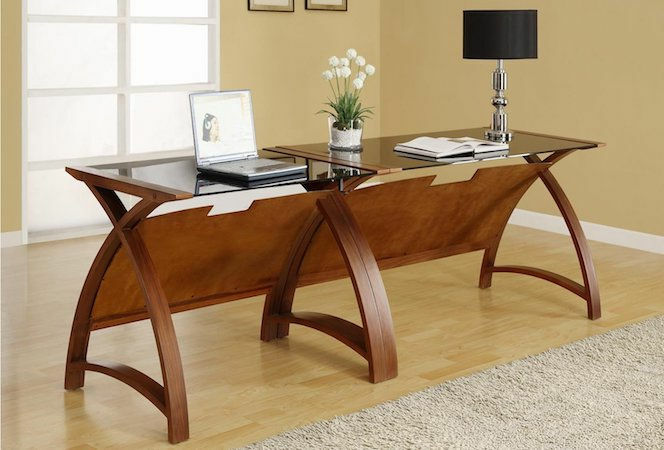 Looking for a new desk for your office or your home? Give your working space a new vibe by shopping for the awesome and affordable desk deals online. Browse for the cheapest price on desks from ebay, Amazon, Gearbest, Dunelm, Tesco, Zavvi, Very and Groupon. Foldable desks, easy-to-assemble ones, and metal desks are available at up to 40% off the regular price. Don't forget to use voucher codes so you don't have to pay full price. Make your shopping hassle-free by getting your purchases delivered for free by looking for similar special offers. Get the ideal desk for your home or office at a very low price with the help of voucher codes you can find here at Latest Deals! Most people spend most of their time at their desks and they make it as cosy, organized and attractive as possible. There are desk accessories that can make your workspace more organized. These desktop items are also great as gift items. 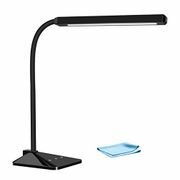 There is a wide range of products to choose from including mouse pads, pen stands, table clocks, desk fans, file folders, light stands, mobile phone stands, photo frames and more. These items do not have any particular age group so you can give it to anyone regardless of their age or gender. You can also buy these items for yourself if you want to put it on top of your desk. Your workplace should be free from any clutter to reduce brain fog so that you can be more efficient in doing your work. Desktop items are great additions to your workspace to make things easy for you. If you want to upgrade, you can also buy a quality office desk. There are lots of desks to choose from that will give you an executive look and feel. This office furniture can be made from different materials. Choose the desk that suits your personality and preference. Where Can I Find Cheap Desk Online? 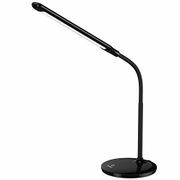 Here at Latest Deals, you will find the latest desk deals including desk fans, light stands, lamps, tablet stands, desk cleaners, and more. You can also get great bargains if you are looking for a small computer desk, office desks, chairs, corner desks and more. You can save a lot of money from Argos, Tesco, Studio, and other reputable UK retailers. We have the best desk deals, offers, and voucher codes from your favourite UK retailers that you can use to save money on the side. Our team of money-saving experts and community of bargain hunters are always looking for the best possible deals online to post and share for our members. Just use the latest cheap desk UK voucher codes upon checkout and that’s it. If you are going to purchase a small computer desk or any kind of office table, check the dimensions first if it has the appropriate size for your office. You do not want to encounter any kind of problem once you receive the actual item. But rest assured that you will get the best deals available so expect to get big savings. You can get a colouring table desk at The Entertainer where you can save as much as £15. You can also purchase a mesh office chair with arms and save almost £20 at Very. If that is not enough, you can buy an oak computer desk at Dunelm at half the price. Now that is a great deal. 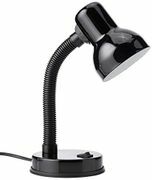 If you want to save money on your desk to items, Amazon is the place to make your purchases. You can even purchase a bladeless tower desk fan here with fantastic discounts, while you can get a desk tablet stand or a reusable paper towel cloth to clean your desk with a savings of 20%. Amazon Prime members also gets exclusive discounts including free delivery. You can make the most of your office or bedroom with a wide selection of quality affordable desks at IKEA. They have everything from modern to traditional in a variety of colours. If you’re looking to update your workstation, you can take advantage of the 10% discount on select workstation desks at Ryman. Clocks and Timepieces – Having a physical clock on top of your desk is very helpful to remind you of the time. Having an actual clock or timepiece gives a different feeling rather than having the time posted on your desktop computer. Your visitors will also have access to the time and it will be very convenient for all. Desktop Card holders – This is an important item most especially for business people. This will enable you to distribute your business cards easily to potential clients and visitors. You do not need to reach out to your wallet and pull out a business card. Just pick it up from the cardholder and give it to your client. Pen Stands - Even though we are living in a modern world where computers reign supreme. There will always be a time where you will be needing a pen. This is essential in signing papers and contracts. Having a pen stand will make it convenient for you to grab a hold of a pen anytime. File and Letter Trays – These items are very helpful in organizing your desk since offices still use papers. These desk accessories will help you categorize and organize your documents properly and neatly. It will also help you to get the documents fast because they are labelled properly. Memo Pad Holders – These items will help remind you of your tasks at hand. You can just write down anything that you want to be reminded of like meetings and just stick the memo to the holder. Put the memo pad holder to a spot where you can see it frequently. Paperweights – These items are probably the most decorative and coolest desk accessories. You can make anything as a paperweight. These items are made to hold important sheets of documents and keep them from being blown away.